Dams are used to impede the flow of water along a stream or river. In ancient Mesopotamia, dams were used to store water from the Tigris and Euphrates rivers during the rainy seasons, so water would be available during the dry seasons. Making a homemade dam can help children learn about the physics of water flow and water pressure. This project can be completed with materials you'll likely find near your dam location. Dams are sources of hydroelectric power in many parts of the world. Find a suitable stream to dam. Select a stream that's small and will be easy to dig around. Be certain your temporary dam project will not negatively affect someone's water source downstream. Locate the area where you would like to build the dam on the stream. A narrow portion of the stream often works best. Divert the stream. To do this, use the shovel to dig a trench upstream from where you'd like to build your dam. Use this trench to allow the water to be diverted temporarily from the stream. This channel should be dug around your dam area and back into the stream's original course downstream from the planned dam site. You must dig this channel at a level that's lower than the area surrounding the dam, to ensure the stream follows the new course. Build your dam at your desired site, using the larger stones, sticks, gravel and mud. As you build, use mud to hold the materials together and fill in small crevices. Place larger building material on the outside of the dam and fill in with smaller materials. Interlocking sticks with the stones and creating a tightly woven web of materials will help keep the smaller materials in place. 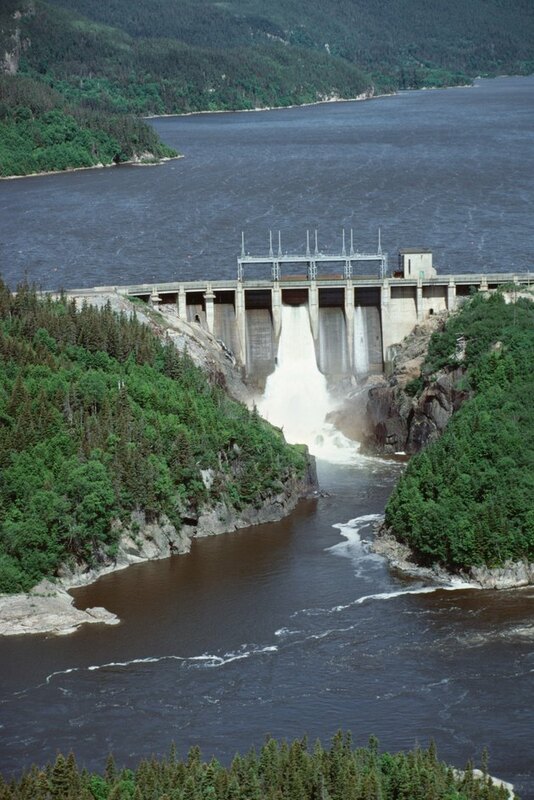 As water pressure is greatest at the base of the dam, your dam's base should be wider than the top. Return the stream to the original stream bed. Use the shovel to fill in the temporary diversion channel you dug earlier. Begin filling in at the beginning of the channel, adjacent to the stream. Continue to fill in as you work your way downstream on the channel. After the diversion channel is blocked, the stream should return to its natural course and be blocked by your dam. How Do I Build a Dam With Creek Rocks?